Alfaparf Cleansing Conditioner- Hair With Bad Habits! So today it is time to talk about hair. Now we all know at this stage how much I love my hair, it's actually quite a love hate relationship, I love it some days when I'm sitting in Zinc Hair and Beauty and Lisa is working her magic on it and about two days later when I have to wash it myself and style it until the next time I see her it's a hate thing. I just can't seem to get it right or more so I can't seem to get up at 6am in order to get ready for the day looking as good as most of the other beauty bloggers do on a daily basis. But enough of the ranting, today we are talking about Hair with Bad Habits and a new product to help them out!! 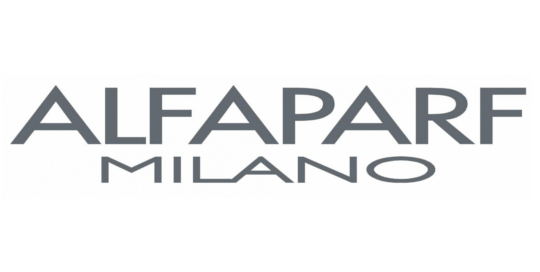 The Precious Nature by ALFAPARF MILANO range has introduced two new “Mediterranean menus” or line extensions: Thirsty Hair and Hair with Bad Habits to complement its existing Precious Nature ‘free-from’ range of luxurious hair products. The Thirsty Hair trio is specially formulated to nourish and provide a new vitality to parched, dry, dull hair without weighing it down. 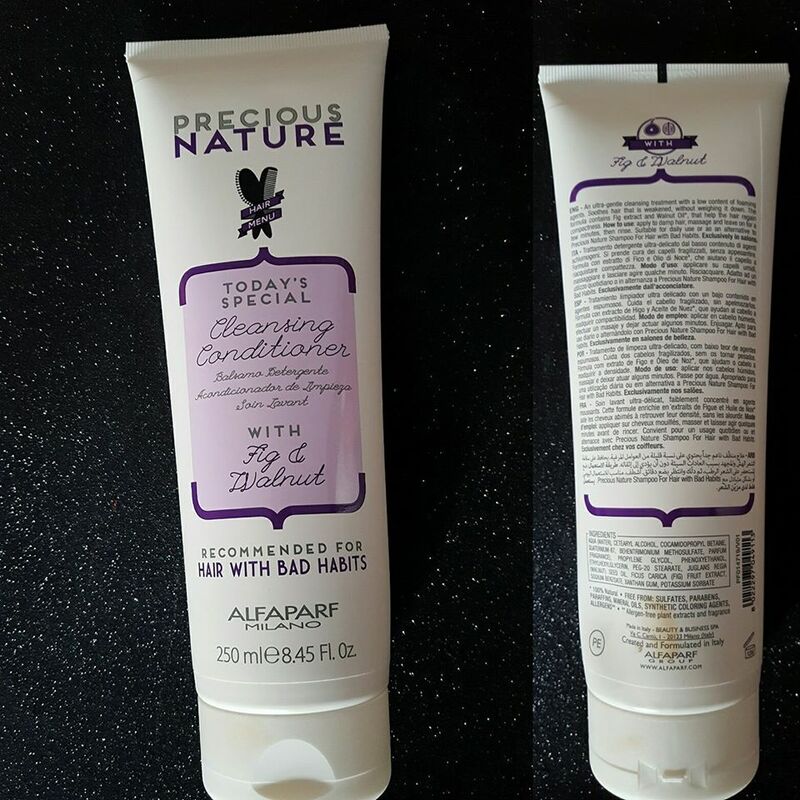 The Hair with Bad Habits trio offers the perfect routine to repair and reinforce ‘hair with bad habits’ or hair damaged from overexposure to the sun, heat, chemical treatments, bleach and by using aggressive products. 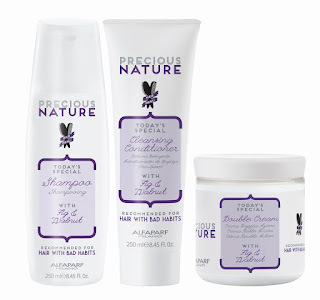 All products in the Precious Nature range - including the new Thirsty Hair and Hair with Bad Habits - contain 100% natural extracts derived from the world-famous Italian cuisine, to expertly respond to distinct hair needs while delivering a pleasurable beauty experience, thanks to the delicious fragrances and luscious textures used. 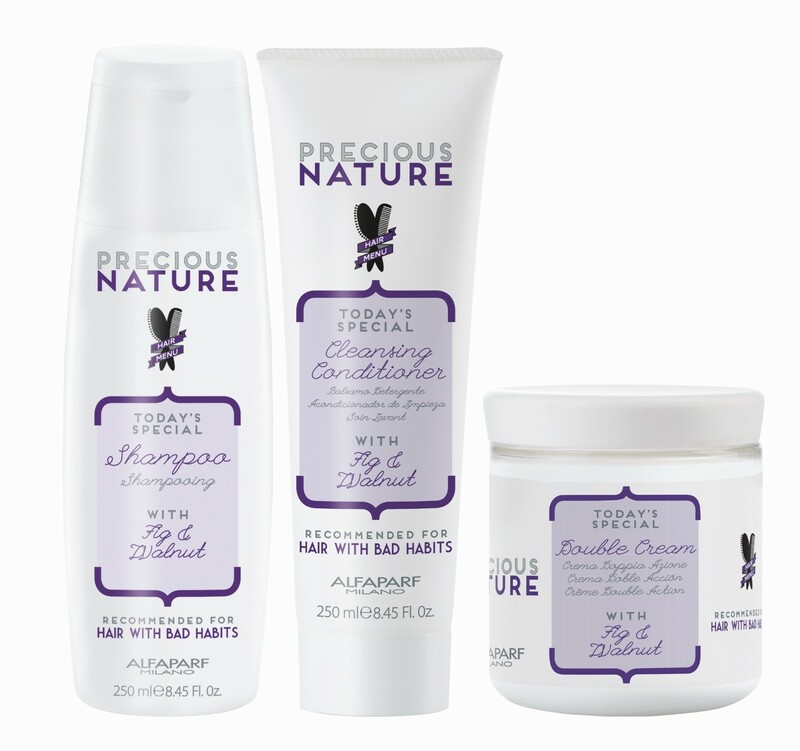 The Precious Nature range is entirely free-from sulphates, parabens, paraffin, mineral oils, synthetic dyes and allergens*. 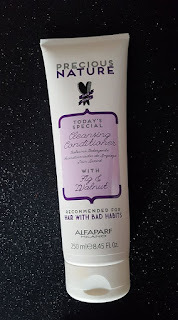 So for this post I am here to talk about the Cleansing Conditioner as this is the product I was sent for review. Now come on ladies.... when you read initially that you cleanse your hair using a conditioner instead of a shampoo who thought this was the oddest thing they've heard? Well I was the same so really the only way to test this out was just to literally test it out! 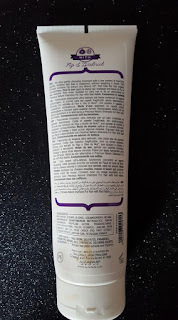 I realise that sounds really silly but I had to read it a few times to register that I use this differently to how you usually use a conditioner but let's get to it! So basically the plan for this conditioner is that it's job is to cleanse your hair so unlike a traditional conditioner that you use after your double shampoo your hair for moisture after the cleanse, you now use this as your cleanser while maintaining real softness. I have to say from using it in my showers it's really nice. I do like a good lather when I use a hair product but this has been a nice difference as my hair has been so silky and soft after using it. I think this would be really good for someone with maybe thin or weak hair. If someone hasn't been unwell or is not a massive fan of real soapy shampoo and conditioner than I think this is right up their street. Also for hair with bad habits which let's face it so many of us have them, this is really nice to use. PRECIOUS NATURE by ALFAPARF MILANO range is available in appointed ALFAPARF Milano salons nationwide. www.facebook.com/AlfaparfMilanoIreland. 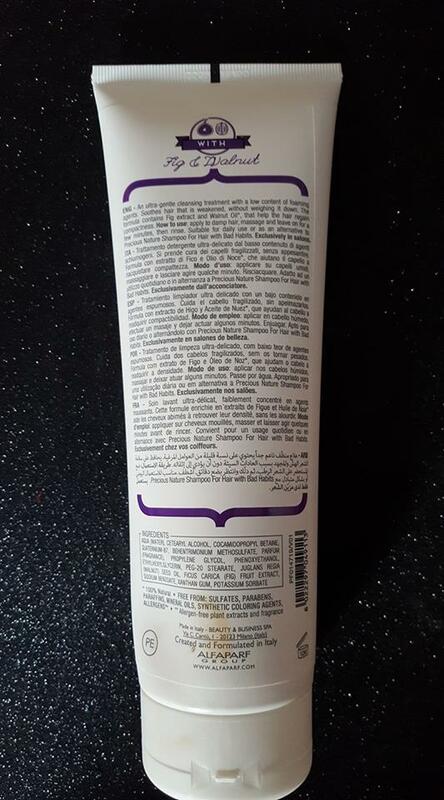 Great blog in specially formulated hair cleanser! I really love how it is easy on my eyes and the information are well written.